A society which imposes special "Duties" upon everyone who breaks the law. The individuals who oversee these criminals' rehabilitation are the "Special Elite"ーa rank the protagonist, Kenichi Morita, hopes to attain. To do that, he must pass his final exam, for which he arrives at a certain country town. 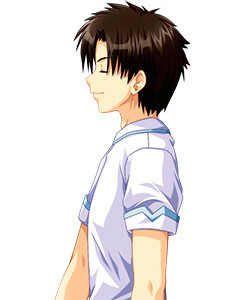 At the school Kenichi attends, he encounters girls bound by various “Duties.” Those obligated "to observe a 12-hour day" are forbidden from being awake for more than 12 hours per day, and those obligated "to remain in infancy" cannot grow up. 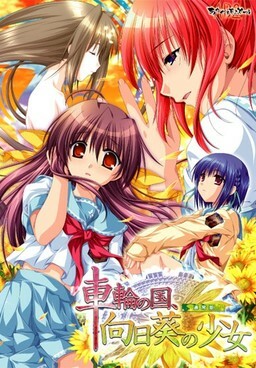 It is meeting Natsumi Hinata, the girl who "cannot fall in love," that throws him out of gear. Soon, Kenichi makes a series of odd discoveries… his own grave, erected secretly on a clifftop; his patrimony, hidden deep inside a cavern. Kenichi finds that he must search for his own atonement in this dystopian society. What is the truth behind the Land of the Spinning Wheel? Discover for yourself through Kenichi's eyes! 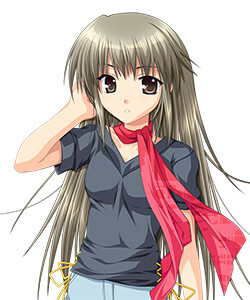 The first person Kenichi meets upon his return to the town, Natsumi is an extremely shy girl who is prone to stuttering and spacing out in the midst of conversations. She is often concerned that she is a bother to other people, making it difficult for her 'friends' - Sachi and Isono - to involve her in anything. She is an orphan as well, and has few hobbies of her own except for taking strolls around the sunflower field outside of town. 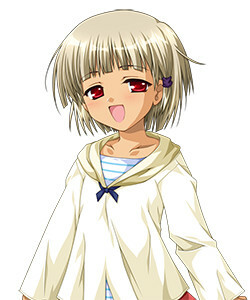 She is the main heroine of the story. 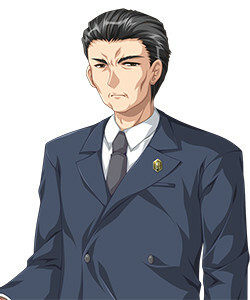 Houzuki is the Special High Class Individual supervising Kenichi's examination. 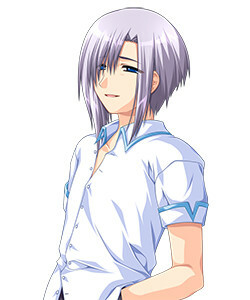 Despite being lame in one leg from a war injury and walking with a cane, he is an intimidating individual who unnerves even Kenichi. Relentlessly dedicated to society, he is not above manipulating anyone—even his own protégé—to produce what he perceives as the most favorable result for the future of the country. 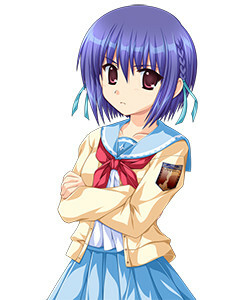 Sachi is a girl with an energetic and vibrant personality, at odds with her habits of dozing off at school and procrastinating whenever an opportunity to do work presents itself. 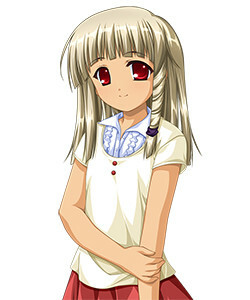 She is hardly fazed by Kenichi's exterior and is the first to become friends with him. An orphan, she earns money through internet speculation, and shares her apartment in the school dormitory with a little girl from the Southern Country named Mana. In the past, she had a hobby of painting, but she has not done this since her parents died. Her obligation is to have a "12 Hour Day" - after being awake for twelve hours, she must 'stop' by taking medicine which knocks her unconscious for another twelve hours. This medicine is not particularly effective at relieving fatigue, and she often naps for a good portion of the remaining hours. 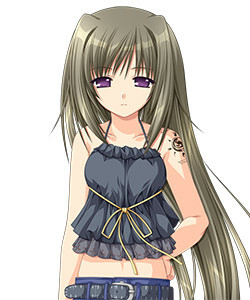 A young foreign girl who lives in Sachi's room as her adopted sister. 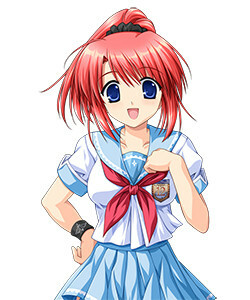 Innocent and naive to a fault, she quickly becomes good friends with Kenichi. She works in the supermarket, but due to her lack of education, is fooled into not receiving any salary. Despite this, she is extremely intelligent and perceptive for her age. <hidden by spoiler settings>Later in life, she takes on the name of Anteriam Du Muanu. A teacher at the school Kenichi attends. 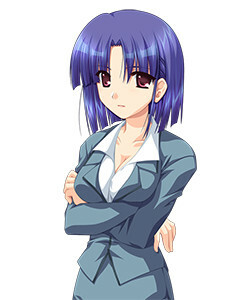 She has a mild personality and is popular among her students, but can be harshly over-protective when it comes to her daughter, Touka. She is hypersensitive to words with a "dog" connotation. 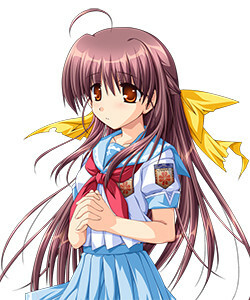 Mana after having separated from Sachi for several years. She has changed her name along with her station in life.